This private residence in Dongguan, China was created with an emphasis on allowing residents to fully enjoy nature while escaping the hassles of dense urban living. Designed as a summer retreat for its owner, this 4 bedroom, 3 story house is both spacious and modern. The first thing that one notices when entering the house for the first time is the sleek and stylish interior. Clean lines, modern materials, and a subdued color scheme create impact and make the space feel fresh and cutting edge. The front foyer is decorated with a bright red art piece, one of the sole splashes of color in an otherwise monochromatic home. Positioned right by the front door, it captures visitors’ attention and leads their eyes to the beautifully backlit marble onyx wall dividing the living room and the kitchen. The wall is a mounting point for an artfully concealed shoe cabinet, and a powder room is located on the other side. The floating wood frame gives off a futuristic feel, and tinted mirrors mounted at the top and bottom of the wall help to enhance the effect. Timber rods tie things together and blend these features in with the rest of the space. Past the powder room is the living room, which utilizes high ceilings and a massive window to make the area feel more spacious and provide natural light. The focal point of the home, the living room helps tie the first and second floors together into one continuous space and is viewable from the glass balcony on the second floor. Additional light is provided by a pair of modern and easy to maintain wall-mounted lamps that make the room feel both hip and sophisticated. Up the glass and stone stairs are the second floor’s 3 bedroom suites. These rooms are a perfect complement to the first floor and have an equally modern aesthetic. The third floor contains the master suite, which makes use of a sliding door to separate the bathroom, sleeping area, and a study. 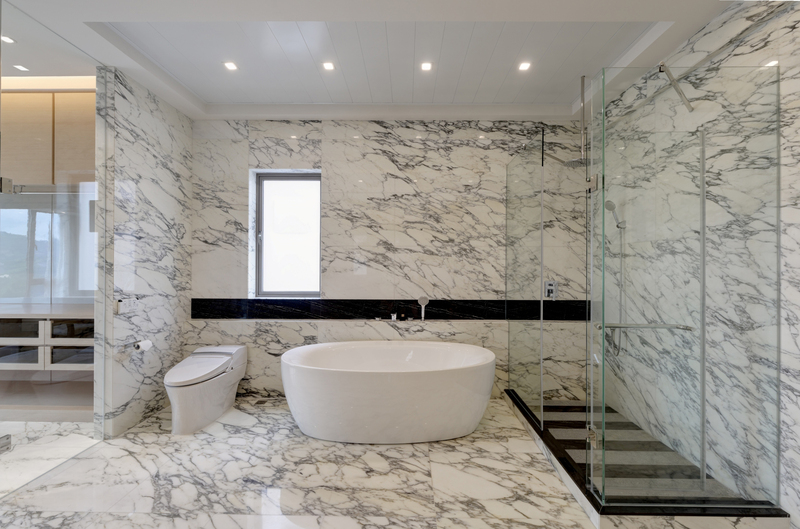 A free standing bathtub is the focal point of the bathroom, which makes generous use of white marble. Marble is also used in the dressing room and closet area, and makes the whole suite feel luxurious and open. Overall, the residence embraces a sleek and modern Italian design aesthetic while simultaneously appearing both comfortable and inviting. 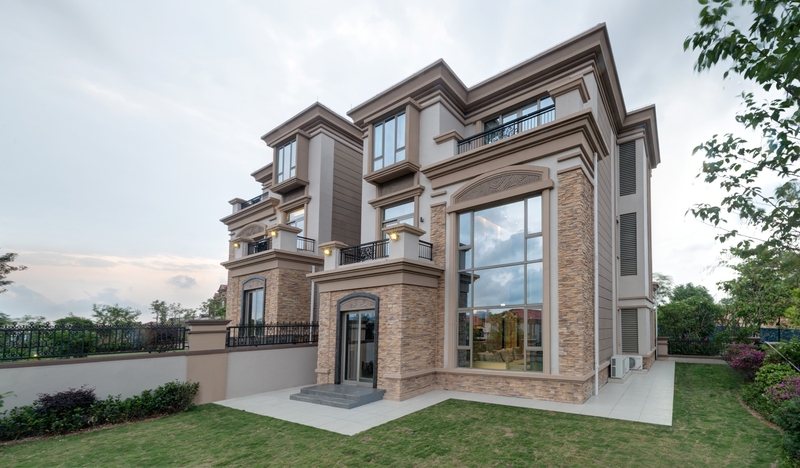 It is an eye-catching and modern home away from home, and should delight its owners and their guests for years to come.